2:50 - Who are exceL? 9:30 - How did exceL convince Riot to give them a spot in the LEC? 18:10 - How will exceL endear itself to fans? 25:00 - Not everyone can win, what is exceL doing to build a fanbase that doesn't necessarily involve winning? 33:00 - What is exceL's philosophy when it comes to building a roster? 37:50 - Is exceL looking to expand past LoL, into other tier one esports? 39:50 - Is franchising better for the League of Legends ecosystem in Europe? exceL Esports are one of the new teams joining the European League of Legends scene with the launch of the LEC next year, and for many League fans, they're an unfamiliar name. 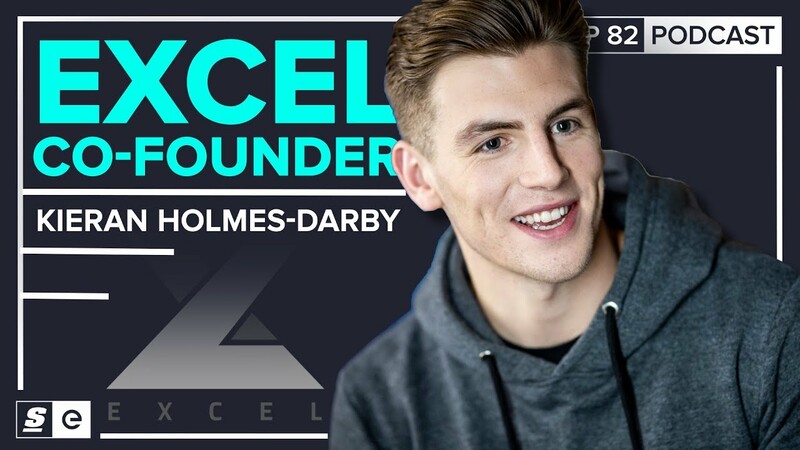 exceL Co-Founder and Managing Director Kieran Holmes-Darby joined theScore esports Podcast to talk about who exceL are, how they plan to capture the hearts and minds of EU League of Legends fans, and the philosophy behind their roster-building process. Click or tap here to listen in on SoundCloud. Most League of Legends fans probably haven't heard of exceL before, but the organization has already fielded LoL teams in Europe, and even played in the European Masters tournament this past spring. While they haven't been responsible for any huge names that moved on to the LCS, Holmes-Darby notes that the UK, their home base, hasn't exactly been a hotbed of esports talent — something they're hoping to change. "We're kind of coming from a region of esports that's relatively underdeveloped, and by that I mean the UK," Holmes-Darby told theScore esports Podcast. "It hasn't had that much attention shown to it if we look at the esports industry as a whole, and our kind of pitch is to be that British organization that has come form the UK, exploded on to the European scene and give those UK fans someone to really cheer for and create some fandom in this region." And that dedication to the UK scene is part of what Holmes-Darby and exceL are betting on when it comes to bringing in fans. For him, regionalization is something esports hasn't explored thoroughly enough, and exceL's pitch to Riot included their goal to become the UK team for League of Legends. "It's what's got us this far, and what we continually want to play on," Holmes-Darby said. "Not in a way that shuts us off to our European cohort and our European fans, we hope that they will celebrate everything that is good about Britain and the UK, and kind of join us on that journey. "Everyone loves the Queen, everyone loves the London bus, everyone loves the London Eye, we've got some really cool stuff that hopefully people will really buy into and enjoy the process of all of the content we'll produce about where we're from and so on and so forth." And that has shone though in their roster. The team announced noted British support player Raymond "kaSing" Tsang as their first member, and Holmes-Darby said the org specifically looked at players with strong personal brands when putting together the team. He also told theScore esports that exceL is looking to build a 10-man roster, partially inspired by Cloud9's recent success in the NA LCS, and that they're hoping to field a mix of veteran talent and promising rookies, even in their starting lineup. "In terms of what's to come, you guys will see that there's a mix between well-known personal brands that buy into the exceL philosophy and what we stand for really really well, and a mix of rookie talent that is up-and-coming that is pretty undiscovered that we think have a massive ceiling in terms of both mechanical ability but also personal brands," Holmes-Darby said. "We're very very keen to focus on finding the stars of tomorrow, if you like, and telling their stories with our Cinderella underdog story right alongside them and build them as we build our own brand."